Aided by a series of infectious television commercials and armed with enough gigabytes to hold thousands of songs, the iPod has had a great run since its introduction in 2001. But clearly its best days are behind it. Apple sold only 6 million iPods during the last three-month holiday season, according to the company's latest earnings report. That's a 52 percent decline from last Christmas, the steepest year-to-year drop in holiday sales that the iPod has ever had. Meanwhile, the company broke sales records for both the iPhone and the iPad during the same period. And the success of those two products has everything to do with the death of the iPod. 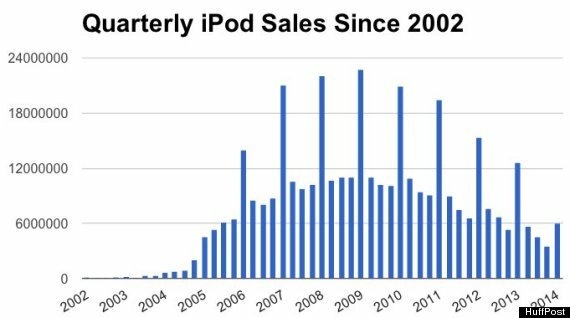 As seen in the chart above, the decline in iPods purchased has been steady and noticeable since 2009, two years after the iPhone was launched and started cannibalizing its cousin's sales.  With these new devices capable of holding a massive number of music files in addition to doing everything else that smartphones do, the iPod's usefulness began to wane. Despite some efforts at reinvention with the iPod Touch, essentially an iPhone that can't make phone calls, the iPod has been in an irreversible spiral. Even Steve Jobs understood this, saying in 2007 that the iPhone was the "best iPod we've ever made." But wasn't it great while it lasted? Let's take a minute to remember all the iPods: From the bulky to the tiny, from the all-white to the colorful.